On a square shield with pointed bottom, 2 inches (5.08 cm) in width and 2 1/2 inches (6.35 cm) in height overall, a scarlet cannon barrel with muzzle to chief between two scarlet lightning bolts; all on a yellow field enclosed by an 1/8 inch (.32 cm) scarlet border. Scarlet and yellow are the colors associated with Field Artillery. The gun tube alludes to the howitzers and the flashes symbolize speed, accuracy and shock. The shoulder sleeve insignia was originally approved for the 41st Field Artillery Brigade on 24 November 1981. It was redesignated effective 16 April 2007. A gold color metal and enamel device 2 inches (5.08 cm) in height consisting of a design similar to the shoulder sleeve insignia. A metal and enamel device 1 inch (2.54 cm) in diameter overall consisting of a circular railroad track, on a gold ring, rails black and cross ties red, superimposed thereon two Hawaiian spears crossed saltire, shafts red and heads gold with a gold mortar projectile. 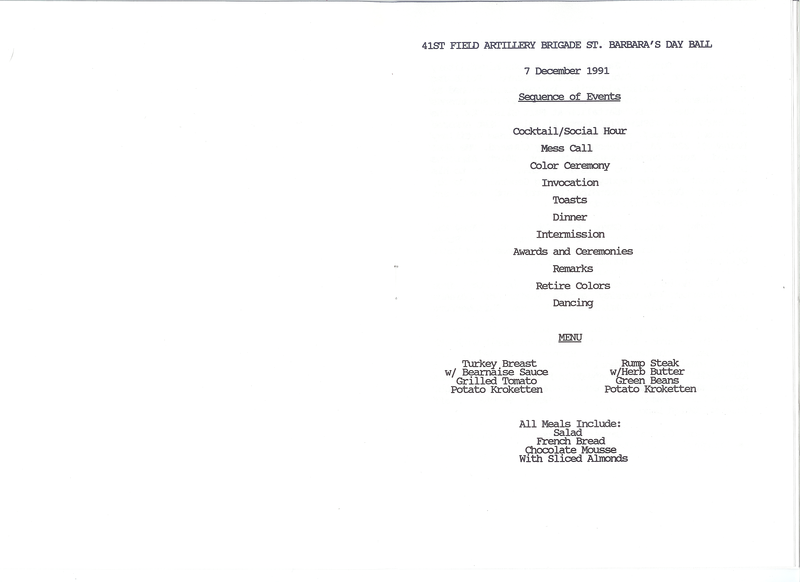 Red and yellow (gold) are the colors for Field Artillery organizations. The predecessor organization, the 41st Coast Artillery Regiment, was the Hawaiian railway regiment, which is represented by the track, Hawaiian spears and projectile. The distinctive unit insignia was originally approved for the 41st Coast Artillery Regiment on 9 July 1924. It was redesignated for the 41st Artillery Group on 2 February 1966. On 7 April 1972, the insignia was redesignated for the 41st Field Artillery Group. The insignia was redesignated for the 41st Field Artillery Brigade effective 16 June 1982. It was redesignated effective 16 April 2007. The 41st Artillery was formed on 26 August 1918, at Fort Monroe, Virginia. 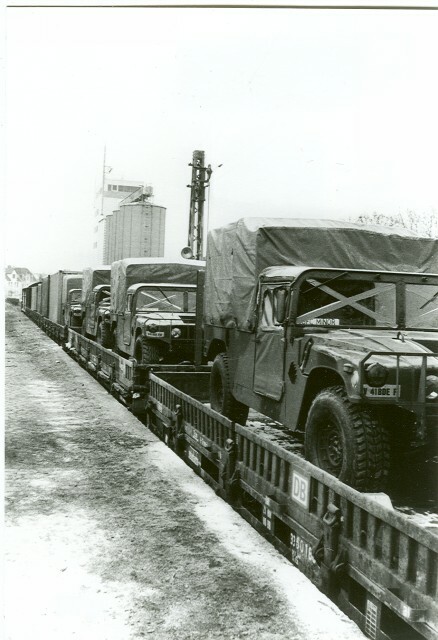 Several months later the unit was demobilized. On 15 January 1921, the colors were transferred to the Pacific Theater, where the 41st Artillery was re-constituted as the Hawaiian Railway Battalion. On 1 July 1924, the unit was re-designated as the 41st Coast Artillery and remained in Hawaii until its deactivation on 30 June 1931. On 21 April 1942, the 41st Coast Artillery was re-activated, this time at Fort Hase, Hawaii, where it served until 25 May 1944. 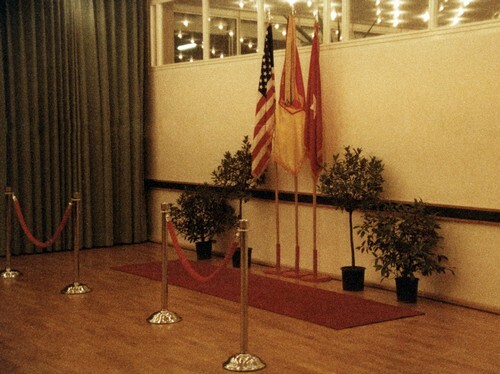 It was awarded the Asiatic Pacific Streamer for its role in World War II. At that time, it was retired from the rolls of the regular Army and incorporated into the Hawaiian Department. On 28 June 1950, Headquarters Battery, 41st Coast Artillery was reconstituted as Headquarters and Headquarters Battery, 41st Field Artillery Group and was inactivated 18 January 1952 at Fort Sill, Oklahoma. 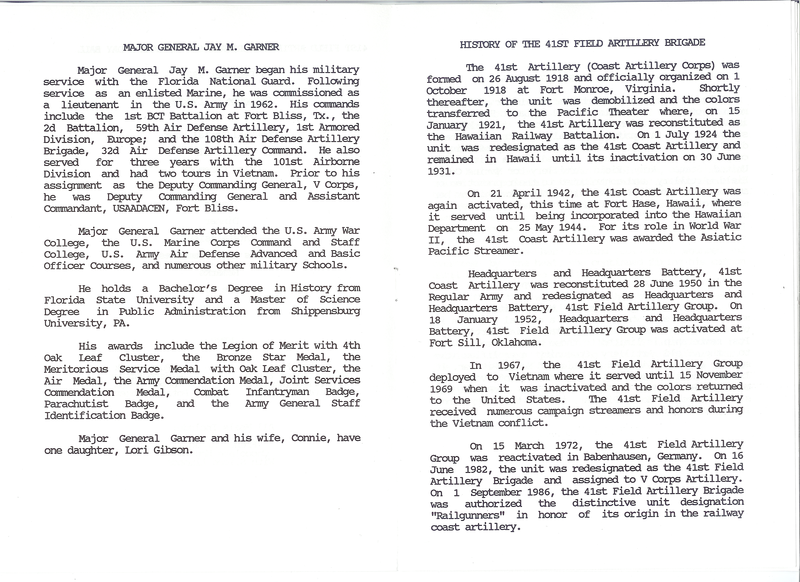 In April 1967, the 41st Field Artillery Group deployed to the Republic of Vietnam, where it earned nine campaign streamers. On 15 November 1969, the Group was inactivated and its colors returned to the United States. 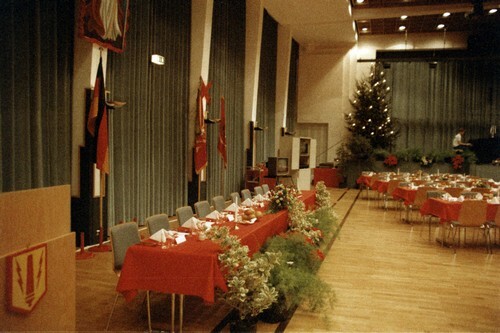 On 15 March 1972, the 41st Field Artillery Group was re-activated in Babenhausen, West Germany. 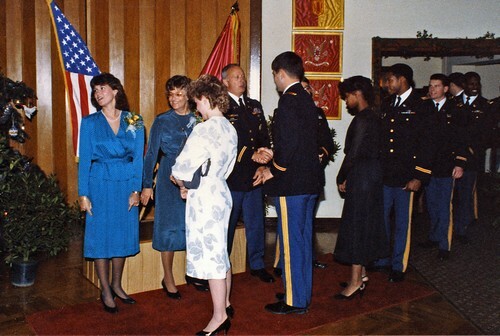 The unit was re-designated as the 41st Field Artillery Brigade on 16 June 1982, and was assigned to V Corps Artillery. 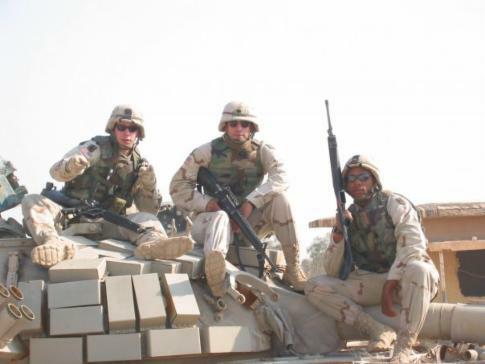 In 2003, the brigade deployed with V Corps to Iraq in support of Operation Iraqi Freedom. 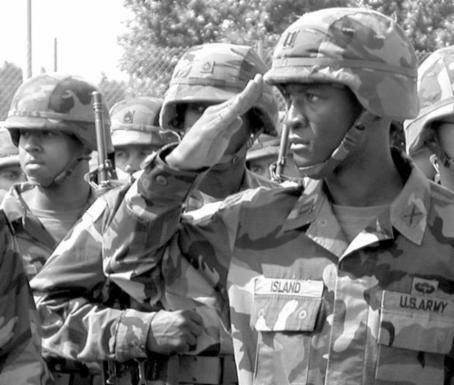 Following their service in Iraq, the unit was inactivated on 15 July 2005. The 41st Fires Brigade was reactivated at Fort Hood, Texas on 16 April 2007. HEIDELBERG, Germany — The Army announced Friday it will shut down a dozen units spread among seven installations throughout Germany, affecting about 1,000 troops. The announcement comes as the Army is preparing for a massive withdrawal of forces from Europe that is expected to cut some 40,000 soldiers from the 63,000-strong force here in the coming years, while shuttering dozens of bases.Officials, however, are separating the two efforts. “This has nothing to do with ongoing global posture review,” said Lt. Col. Jane Crichton, a spokeswoman for U.S. Army Europe. Instead, she said, the units are being inactivated as part of several internal Army reorganization efforts. “It would be a mistake to conclude that if a unit is leaving that its base is closing,” said Crichton, who then added “we are doing prudent planning” to prepare for those closures. The unit inactivations will begin in June, even as several of the units are still fighting in Iraq. The units that will case their colors next year and their inactivation dates are:. Troops D, E and F, 1st Squadron, 4th Cavalry Regiment, 1st Infantry Division, Schweinfurt, on June 15. Troops D, E, F, 1st Squadron, 1st Cavalry Regiment, 1st Armored Division, Büdingen, June 15. Headquarters and Headquarters Battery, 41st Field Artillery Brigade, V Corps Artillery, Babenhausen, July 15. Headquarters and Headquarters Company, 11th Aviation Brigade, V Corps, Illesheim, Aug. 15. 503rd Chemical Detachment, V Corps, Heidelberg, June 15. 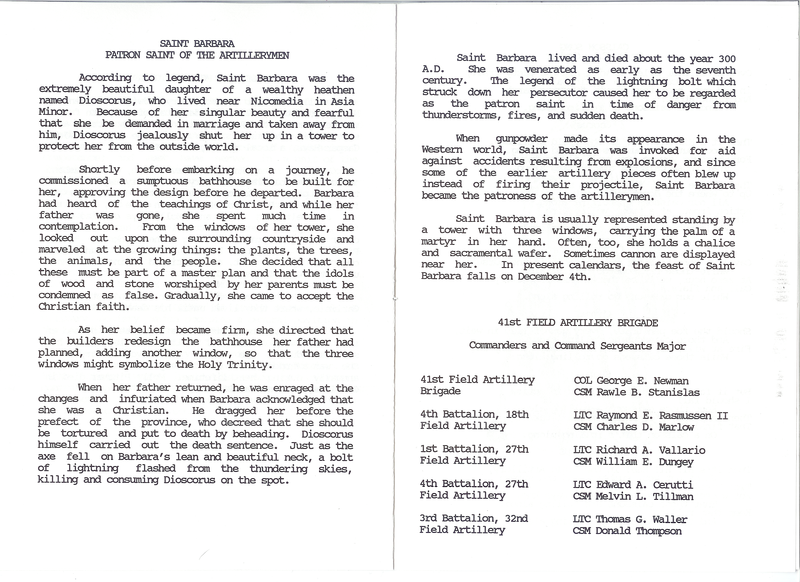 69th Chemical Detachment, 1st AD, Hanau, June 15. 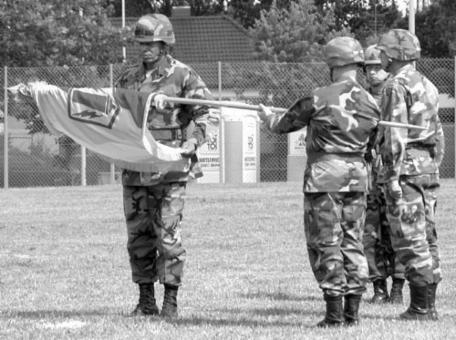 55th Personnel Support Detachment C, 1st Personnel Command, Friedberg, June 15. 4th battalion, 3rd Air Defense Artillery Regiment, 1st Infantry Division, Kitzingen, Sept. 15. Troops in units currently deployed, notably 1-4 Cav and 4-3 ADA, will be given plenty of time for postcombat reintegration before relocating, promise officials. “We’ve looked at their redeployment time lines so that they can do a responsible transition,” said Lt. Col. Brian McNerney, a spokesman for V Corps, which oversees all of the affected units. While the units will disappear from the Army’s rolls in Europe, most of the soldiers will not. In fact, Army officials say the total number of troops in Europe will remain steady. “Specifics on which soldiers will be reclassed, remain assigned to the division and corps or reassigned elsewhere will be figured out over the coming months,” McNerney said. Any moves that do need to take place will largely be done over the summer, say officials. The unit closures will likely mean the loss of some civilian jobs. “A small number of U.S. and local national employees may be affected by this action, and supporting garrison functions may be re-evaluated,” according to an Army statement. 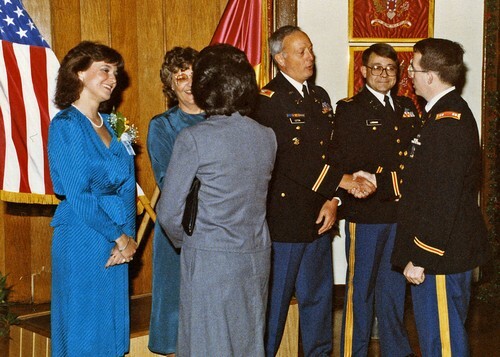 Lt. Col. Bernd Willand, who is originally from Babenhausen but immigrated with his family to the United States and later became a citizen, received a key to the Kasern. Willand, a bilateral affairs officer, traveled from his post in Ukraine to attend the ceremony. 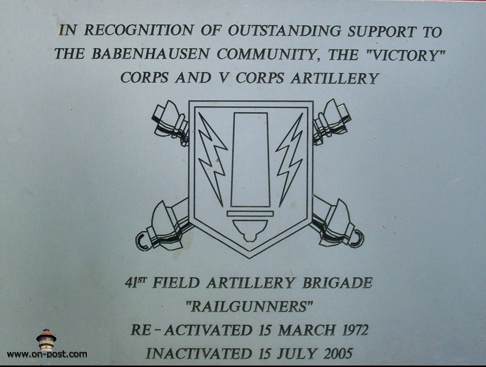 Approximately halfway between Darmstadt and Aschaffenburg West Germany, Babenhausen Kaserne is the home of the 41st Field Artillery Brigade—the Railgunners—three of its battalions and the 77th Maintenance Company. Its remaining two Field Artillery battalions are at Fliegerhorst Kaserne in Hanau. Fifteen kilometers to the west is Muenster Kaserne, another portion of the Babenhausen Subcommunity. 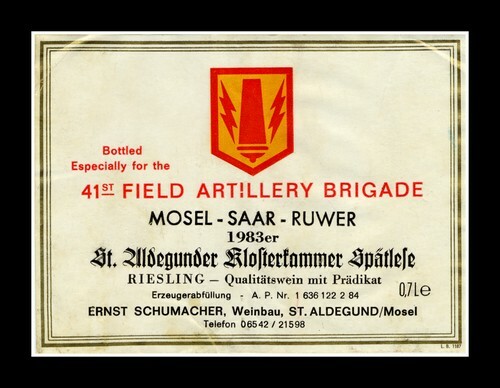 The units at Muenster maintain and guard the contingency ammunition earmarked for the Brigade, and the Brigade is tasked to control and supervise the wartime out load of the bunkers. 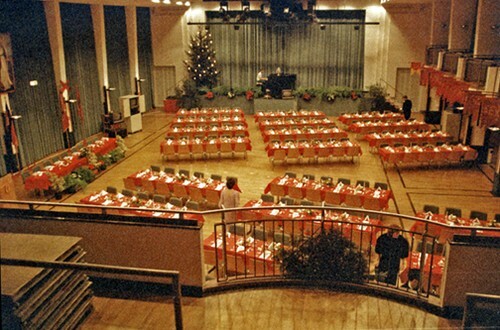 Thus,all the soldiers in Babenhausen and Muenster have direct,daily professional links that carry over into their social lives as they share the same housing areas and post facilities. This homogeneous environment complements the community's efforts to attain the best possible quality of life, and the Army recently recognized this quality of life. Babenhausen, as a part of the Darmstadt Military Community, won this year's Army Community of Excellence competition for mid-sized installations. 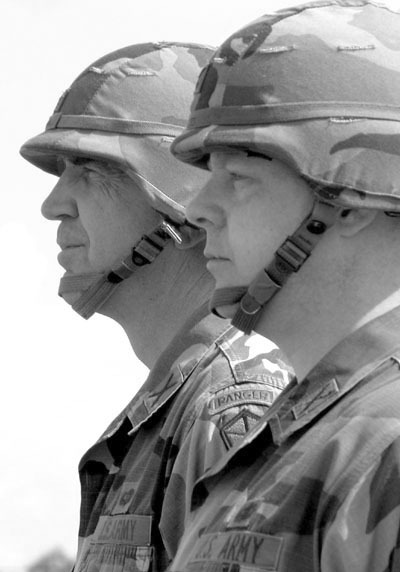 Sub community commanders, past and present, have the reputation of continuously planning to ensure effective and efficient programs, services and facilities are available for the future. We don't conduct business as usual. Through feedback from community residents, we constantly develop strategies and articulate our needs to improve all aspects of community life. And our programs are designed to help soldiers and their families throughout their assignment in Babenhausen. When we do our job correctly, we have citizens who show community pride in what we have and who we are. Helping Agencies Programs are available to families who find themselves in difficult times: Parents Encouraging Parents, the Outreach Program, financial and consumer affairs counseling, and the food-locker program are all provided by Army Community Services (ACS). Red Cross, staffed primarily by volunteers, is always available to provide that needed link when emergencies arise stateside. Military life in Europe creates periods where soldiers are in the field and families are "alone" in the rear; however, families are never alone. Each battalion conducts pre- deployment briefings for families before lengthy field exercises. These briefings include information on community services available for the families, actions to take in the event of an emergency, financial advice and check-cashing information, mail procedures to and from the field location and special battalion programs to help the families while their sponsors are away from home. 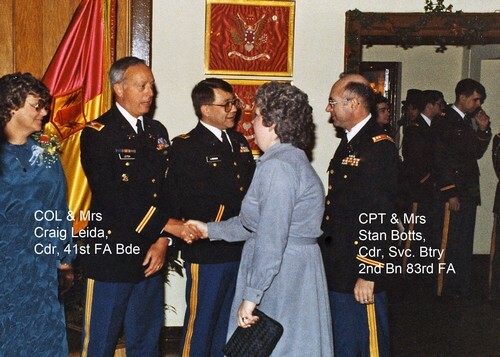 Each battalion leaves a rear detachment to help families that need assistance, and sister battalions that aren't in the field at the same time provide administration through their Personnel Action Centers. 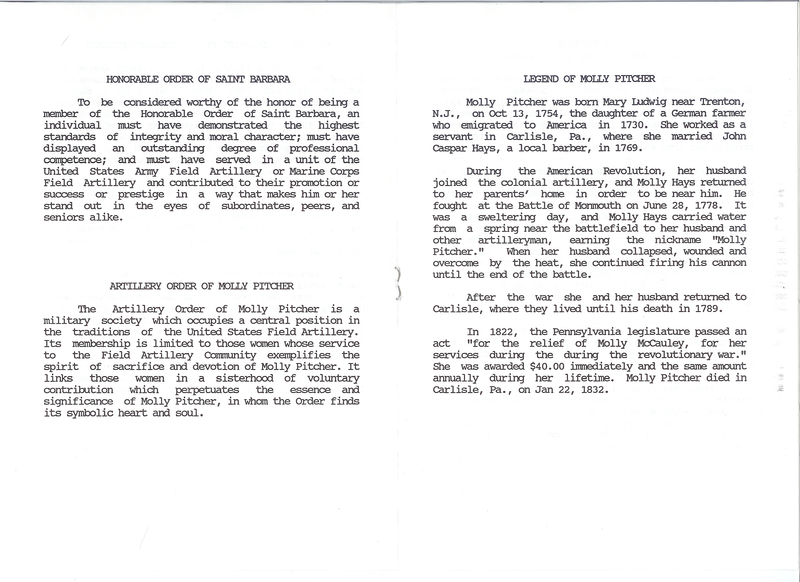 Each battalion wives' group maintains a "chain of concern" for wives to help them when the husbands are in the field. The day-to-day pressures of life without the husband and father at home often create the need for families to be able to talk to people who are undergoing similar challenges. 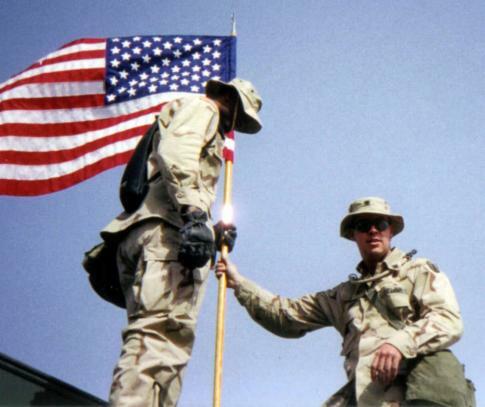 Several programs allow community planners to exchange information and views with those soldiers and families residing in housing and encourage special projects. Feedback obtained in town hall meetings allows the community to improve its services. In addition, the community's bi- weeky bullitin provides a flow of information on upcoming events. 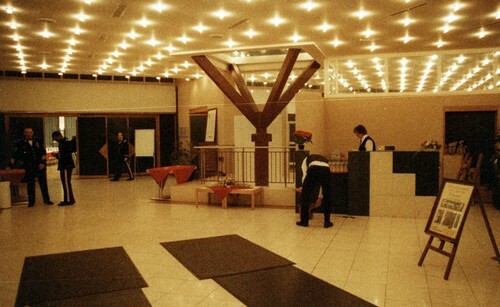 The Kaserne's wives' clubs are dedicated partners in community life. They plant flowers in the spring and fall throughout the Kaserne, raise money for welfare projects and recently donated an information booth, located in the PX mall, for the benefit of the community. Our soldiers and families know they are guests in Babenhausen, and friendly, continuous interaction with the local German population has resulted in close ties between our two communities. This has yielded benefits from new rental housing projects to lasting friendships. Our relationship with the Luft Sport Club is a perfect example of German-American cooperation. The airfield is a part of the Kaserne, but joint agreements allow the Glider Club to use the airstrip. Soldiers and their family members may become members of the Club at reduced rates and not only can take rides in the gliders, but also can work toward getting pilots' licenses. Other activities show the strong relationship we maintain with our host Ally. The annual forest walk by German and American community leaders highlights the delicate ecological balance of the local environment. The Saint Barbara's Run, sponsored by the Brigade, brings together many of the best runners in both communities. 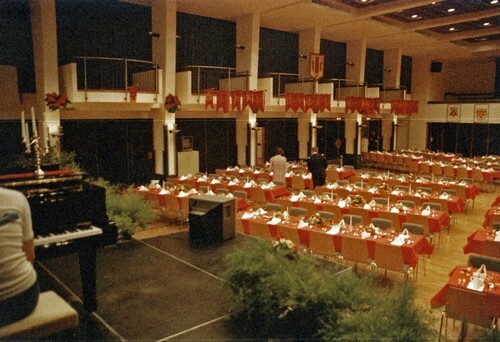 German-American Week events include a concert in the park by the 8th Infantry Division Band, a Kaserne Open House and a Western Bar-B-Que held on the Kaserne's soccer field. The Kaserne's units are invited to participate in Babenhausen's annual Fasching Parade. A German-American Volksfest, New Year's Reception, Christmas Tree Lighting Ceremony with live Nativity Scene provided by local German farmers, and the German-American Thanksgiving Dinner are all activities that everyone looks forward to. 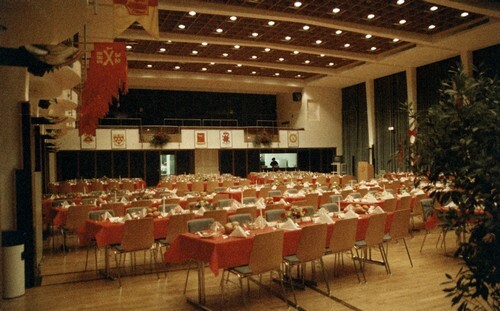 The Brigade's units located at Fliegerhorst Kaserne have many programs unique to their location and missions, and the Hanau Military Community has a wide range of programs and services to make an assignment there personally and professionally memorable. The 3-20 FA publishes an information booklet filled with tips regarding community services and upcoming battalion events. 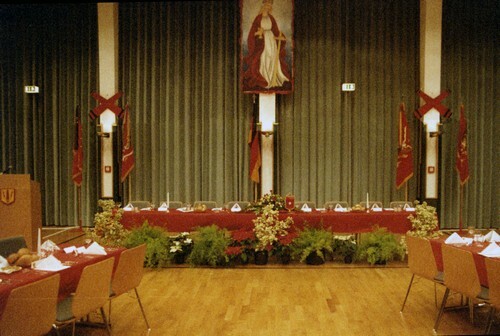 In addition, the wives' groups provide a translation service for the battalion's families and organize theme-oriented events, such as Easter Day and Winter Dinner, throughout the year. 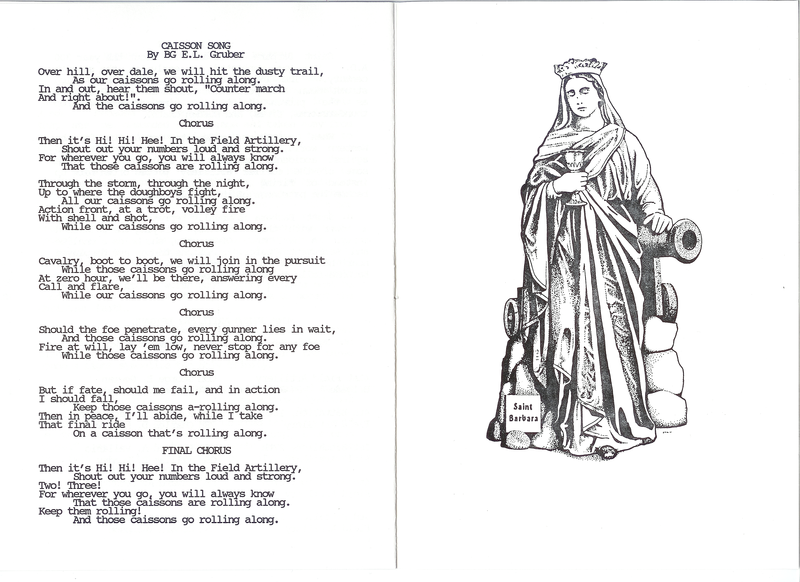 The 1-32 FA's wives' groups operate the Lady Lance Concession Stand to raise money for unit activities and conduct a monthly SUMMON (Single Unaccompanied Military Munch or Mend). This activity includes free uniform sewing and a sit-down, home-cooked meal. The Brigade and each of the battalions take very seriously the responsibility to help families help themselves. It's the combination of professional competence, concern, caring and support that makes the 41st Field Artillery Brigade and the Babenhausen Community a better place to live.